In one way or another most of us have an excuse about some part of our lives. Maybe the excuse comes in the form of a limiting belief. Either way, we have them. Some excuses are on the surface – those that we say and share with others. What are your deep excuses and beliefs? Be honest. It isn’t necessarily fun to think about but we need to do so. Facing them and addressing them is a great step to take – right now. Here’s a short article that addresses this subject well…. It seems like everyone has mental blocks that keep them from succeeding. A few years back I began using the term “Secret Excuse” in my programs. A Secret Excuse is, very simply, any excuse you make in your head that gives you a phony reason not to get out there and succeed. – Why hasn’t someone else done it already? First – honestly identify at least one ‘excuse’ – a deep secret one. Second – write a question that forces your mind to think otherwise – FOR EXAMPLE: if you think that you’re too old, you could ask yourself a question something like, “How does my age, wisdom, and experience give me an edge? Why does my age, wisdom and experience help me achieve my goals? In what ways do my age, experience and wisdom help me in my life?” – THEN try to answer these – write down ways that your age helps you, benefits you, and find positive references, achievements and such from the past. Do this often. Third – repeat, and make sure you’re being honest with yourself! When you meet someone that is certain, you can tell right? Often the person that is most certain is most influential in the situation. 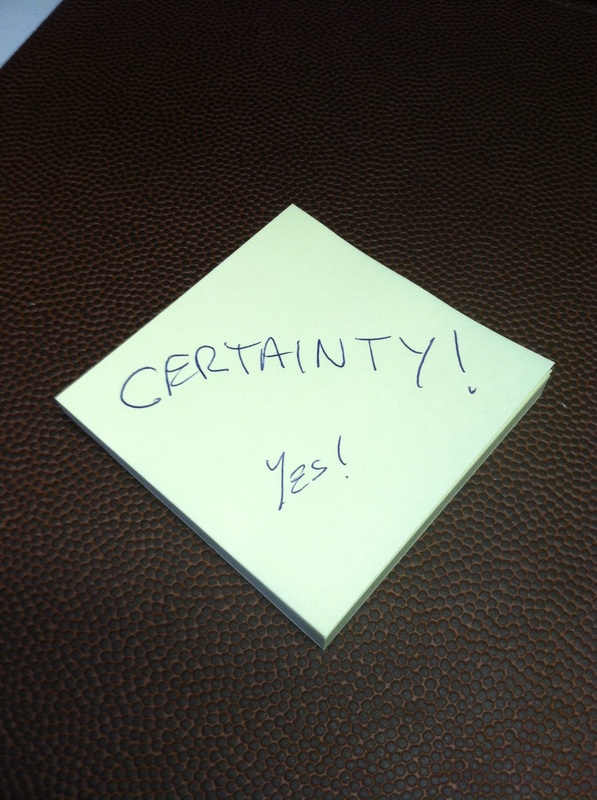 Certainty is much like confidence. It comes across in someone’s way of acting, their attitude and words. Signs a big dream is about to happen…. When you aren’t where you want to be, when things aren’t exactly as you want them now, we need to act/feel/become like it is happening now. …..Signs a big dream is about to happen……..What am I saying? When your dream is about to come true – or when you want something to happen, you can benefit GREATLY by acting AS IF IT IS ALREADY TRUE. I have done it and it does work, it does help! Think about what you want, think about how you want it to be, then act as if it is already that way, that you already have “IT”. Write your boss a nice letter of gratitude saying you appreciate the years of employment, income, and support but now you are able to earn enough income from another source and you can leave your job. Be nice, be appreciative, without all of our experiences, we wouldn’t be where we are and you wouldn’t now have “IT” in your hands. Regularly visualize the after-party. Plan a party. OK….so you got “IT”. Now let’s celebrate with your loved ones. What is the party like? What is the room like? Music? Food? Who is there? What is everyone wearing? See them smiling, congratulating you, see you celebrating with everyone and being grateful. How good does it feel? You can now pay them back a little, you can pay for some fun for them now. It feels great to celebrate and treat friends to a good time, doesn’t it? Sometimes you speak and behave as if it is already true….as if you already have it….as if you already feel that way. And think….now that you already have “IT”….you also already know what your next goal is…..
Feel those feelings – when you have “IT” how are you feeling ? Relieved….Certain…Confident…Happy….Excited….Free…Independent…. Everyday, do something, take action, make an effort towards “IT”. 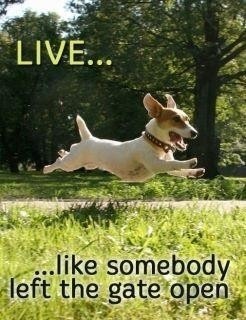 Everyday celebrate out loud and secretly about having “IT”. Practice. How happy will you feel? Will you be jumping? Are you a fist pumper? Do you run and hug the nearest person? How are you celebrating? I find it pretty cool how Kevin James and other writers and actors in Hollywood can offer a movie that provides humor, insight, fart-type jokes, and inspiration. In the movie Kevin James plays a teacher who decides to fight in the world of MMA to raise money to save the school’s music department. Sounds good, right? But it is more – the teacher inspires others around him. Others inspire him. He raises the bar for himself. Others see it and they follow. They raise the bar and try to do better. Sure he gets some push back and there are naysayers and doubters. But the teacher, Kevin James, keeps moving ahead with the goal in mind. He pushes himself beyond his comfort zone. He grew, became more confident, had focus, had clarity, gained more confidence, built momentum, built better habits. He combined a good strategy with good emotions. He had friends that supported him, he had a coach to keep him focused and to help him stay focused. He changes his own beliefs about him. He sees the world around him differently. His identity changes for the better. The movie may not be the deepest movie but it was a good message to my kids, and yes, even me. Forget the movie for a moment. Ask yourself this, what do you that inspires others? 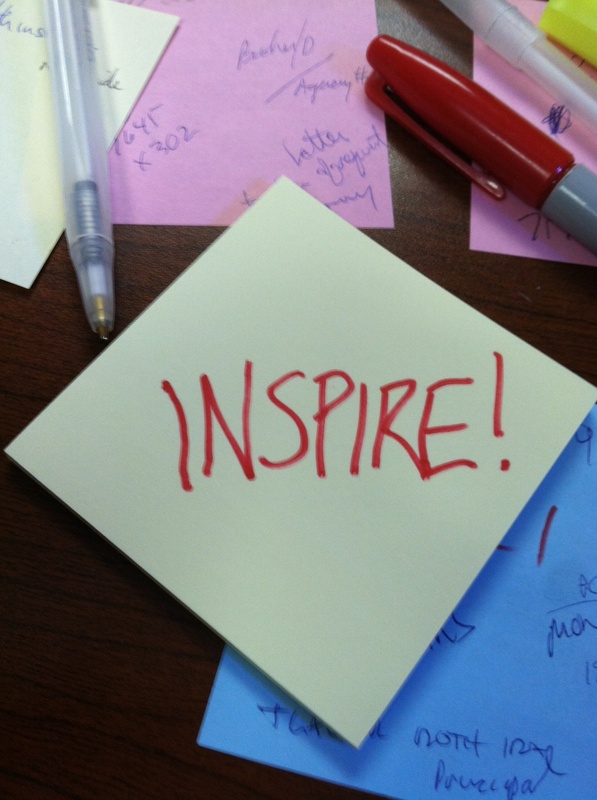 What can you do to inspire others? Movies are able to offer dramatic examples of inspiration. We all would like to be able to be the hero, to go fight in the MMA, for instance, save the music program and be an inspiration to a whole school. But it is just as or more important to inspire each other each day. People are watching you each day – co-workers, kids, neighbors, friends, and strangers. People watch you and observe what you do and what you don’t do. You’re setting an example whether you know it or not. Maybe you’re not fighting the guy in the MMA ring but you’re able to do something else to inspire others. Maybe caring for others, teaching, giving, contributing, writing, taking a change, taking a class, following the dream. Get up and inspire someone by doing, saying, or being something you want to be. Inspire others because of all those people in your life, alive and dead, that have given to you, supported you, and inspired you. Inspire others so that you can look back on your life when you’re on your deathbed and know that you did all that you could.